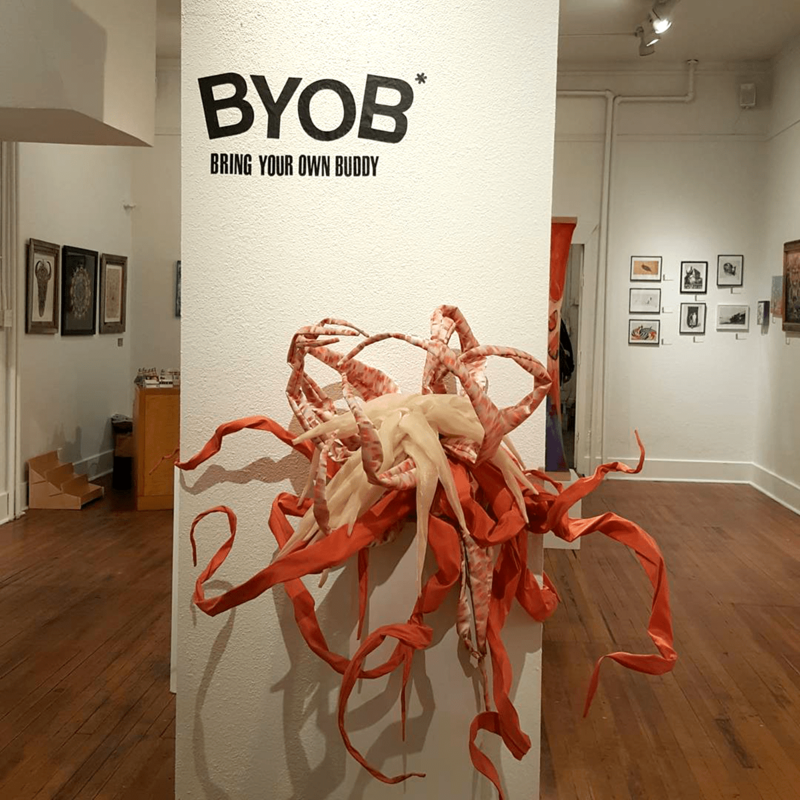 Please join us for our BYOB Show, where our member artists have invited another local artist to show with them. This year’s invited artists include: Anna Cash Mitchell, Dane Colfax Stephenson, Katie Hoffman, Jason Allen, Kim Anderson, Sharon Nicol, and Markham Maes. As always, we will also have new work by our member artists, as well as jewelry, prints, and other affordable gifts in our back room boutique.